Special case plumbing needed for kitchens and utility rooms. Venting a sink on an island in the kitchen present special challenges because there is no way to route a vent upwards from the island. 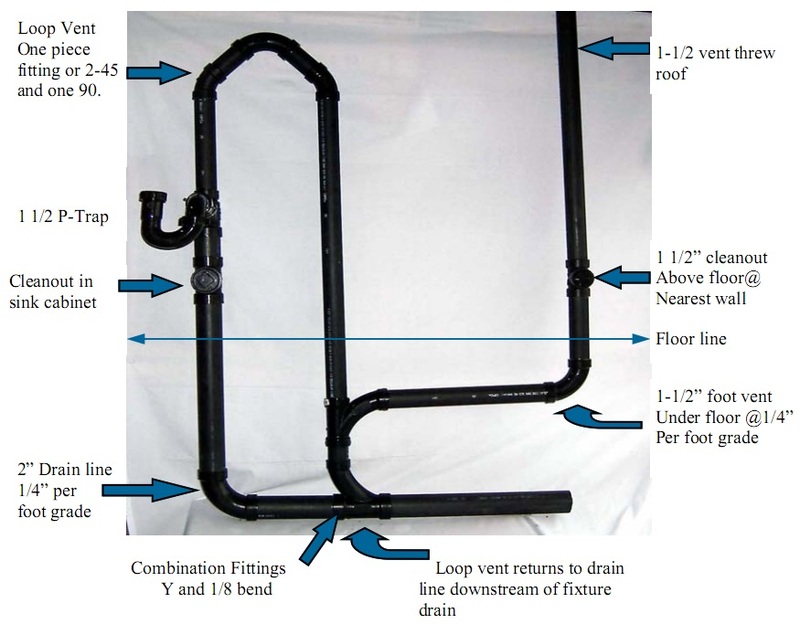 The diagram below shows how plumbing code requires it to be done (in most geographical areas). 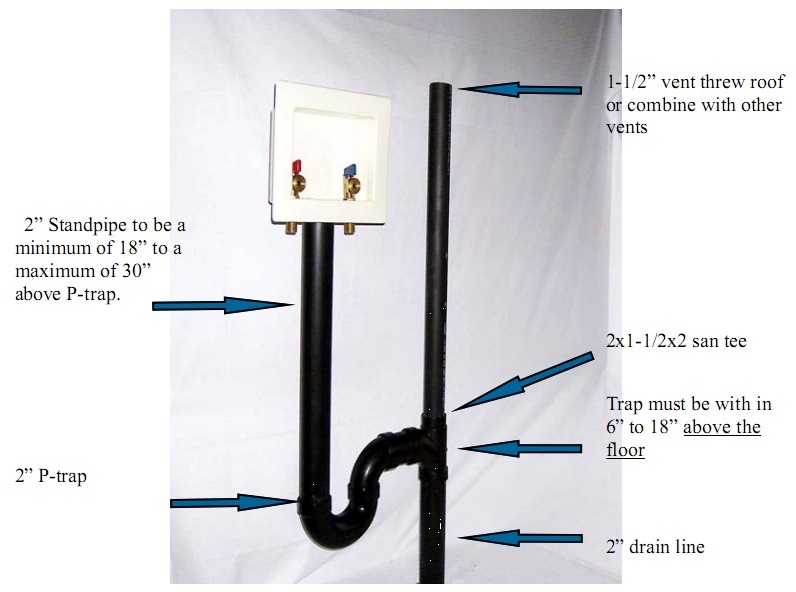 Kitchen sink, food grinder, and dishwasher can discharge through a single 1.5" trap. Dishwasher waste pipe must increase to 3/4". Secure dishwasher exit pipe to underside of counter. Typically connect to side of food grinder but can use Wye between sink and sink trap. 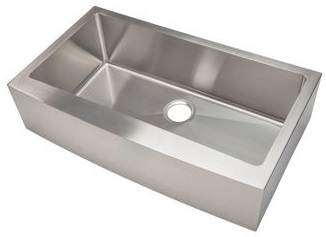 Want a 36" sink with a front skirt. The front skirt reduces te amount of counter top that needs to be implemented and avoids back strain as you don't have to lean fortwad as much. 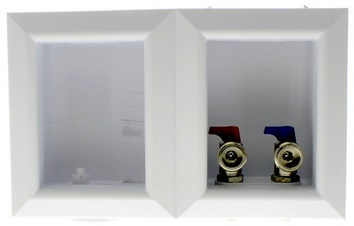 Purchasing detail is here . 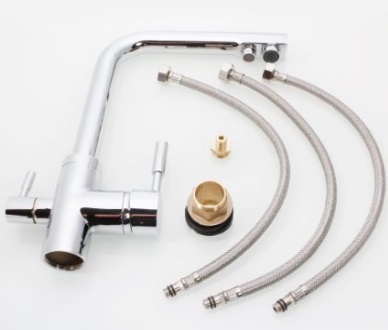 It's nice to have an extra tap and an extra nozzle so you can do separate filtered drinking water or boiling water from an instant hot water heater. 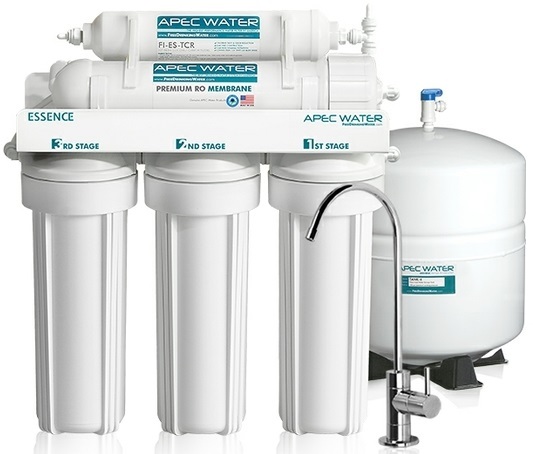 For really clean water it is good to put a Reverse Osmosis Water Filter under the kitchen sink, particularly as these are now under $200. It comes with its own faucet. 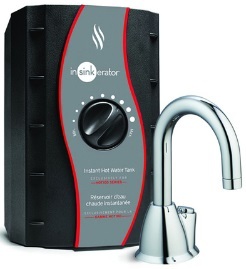 This will give you close to instant close to boiling water from an extra faucet in the kitchen.